Liber M is a unique glass sideboard / display unit designed by Luca Papini for Tonelli Design. 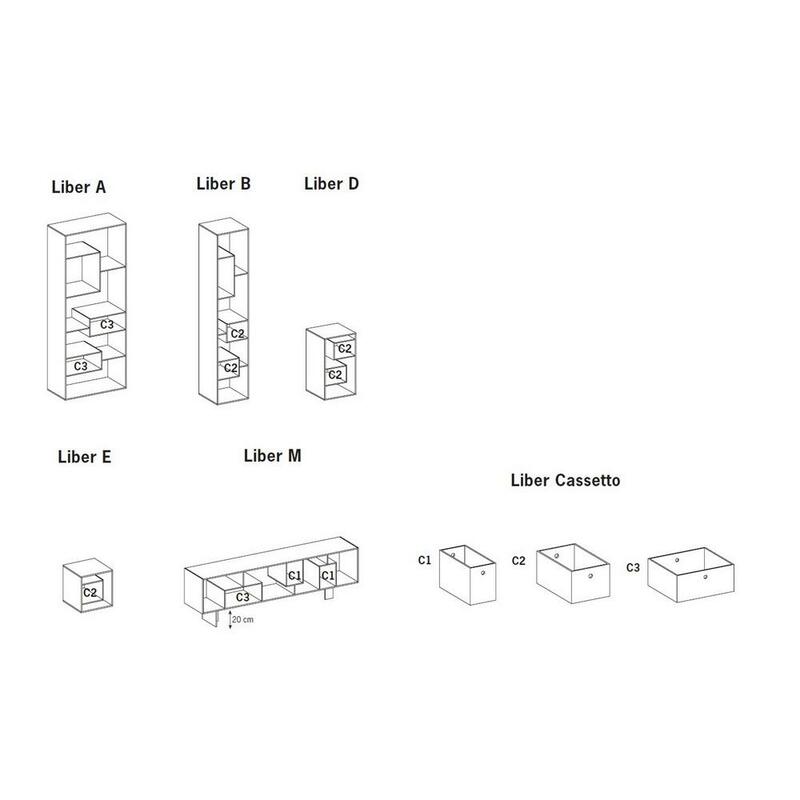 From a single shape, the Liber system becomes many versatile elements, each with its own function. 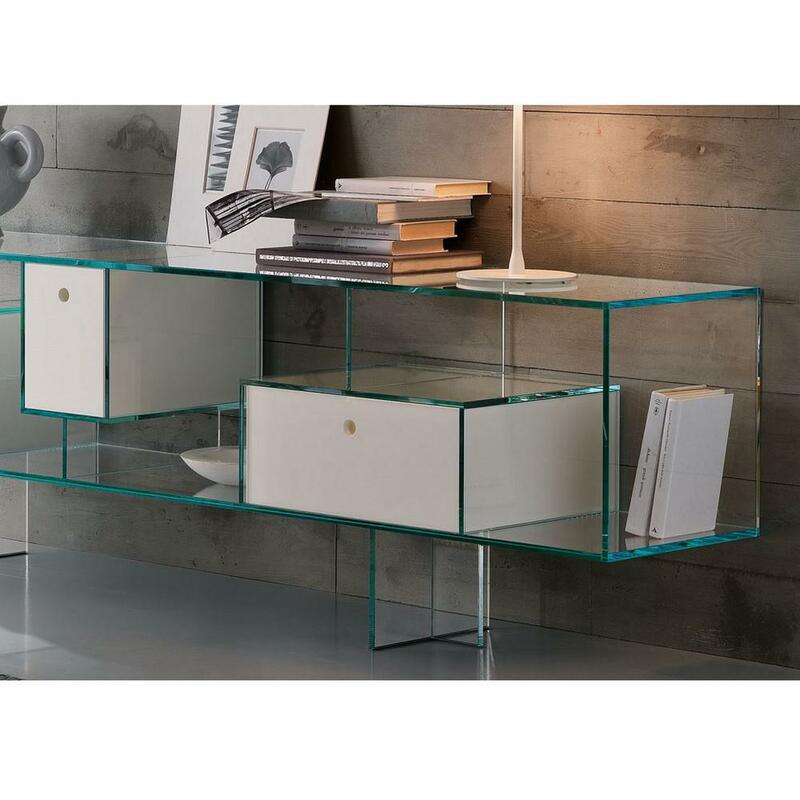 Liber M is a glass sideboard and display unit with mirrored base and glass feet. 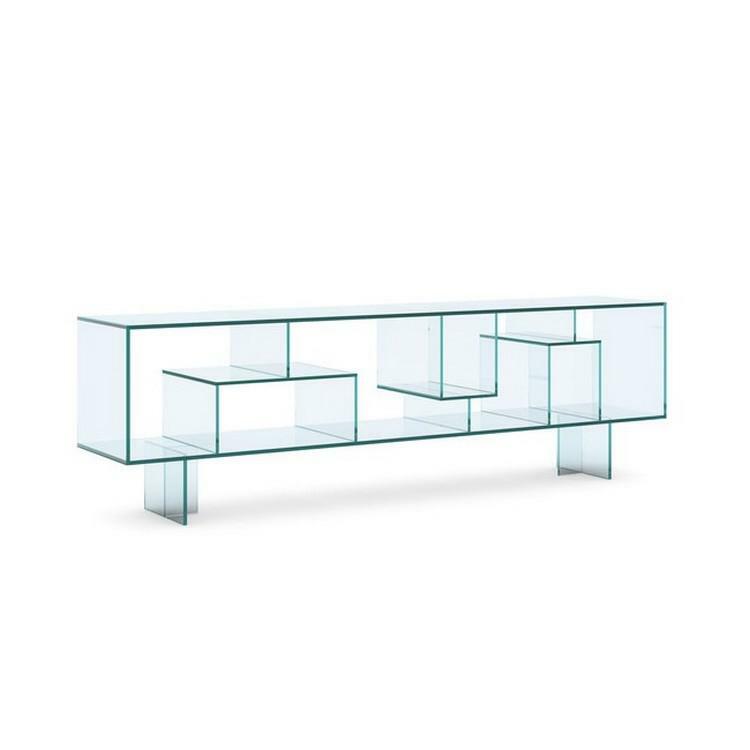 Liber can be a glass bookcase with mirror base, glass sideboard or chest resting on glass feet or a table that can be used as side or end table. Optional drawer cassettes are available in white or any RAL color that you would like. (RAL is a standard colour system). It can be brought with either one or two drawers, ans as there is no "back" or "front" to the bookcase it looks fantastic in the middle of a room. Dimensions: 200 x 40 x h 60 cm. Upper shelf holds weight up to 60 kg + 15 kg per each shelf. Options: Extra clear or transparent glass.